No job is too big or too small because even the smallest jobs are important. 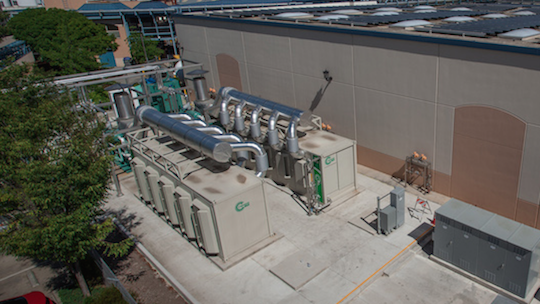 Chico Electric recently installed microturbines at Sierra Nevada Brewing Co., to increase energy efficiency and generate on-site electrical and thermal energy. 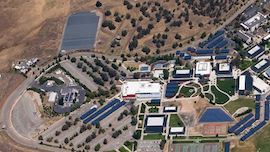 Butte College in California is the first college in the history of the United States to go 'grid positive - generating enough electricity to offset their electricity costs. 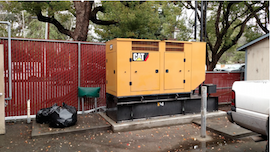 Chico Electric installed new generators for the City of Chico. These reliable back up generators provide power with minimal maintenance for many years. 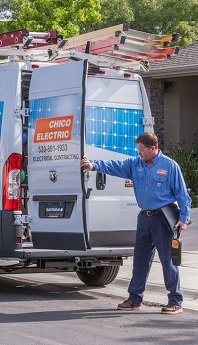 Chico Electric is available 24 hours a day, 7 days a week. Inspired to change the lighting in your home? Give us a call! Have you received a “Notice To Comply”? We can help! Upgrade your systems to match the new technology in your home/office. From ceiling fans to whole house fans, we install them all. 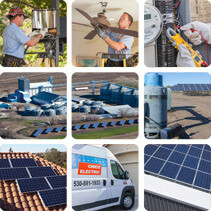 Click here to view all of Chico Electric Residential Electrical services.